We are a real estate management and investment company. 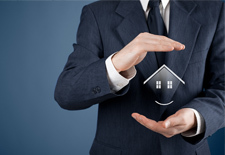 Unlike many property management companies, we understand the investment side of the business. After all, your rental property is perhaps the largest capital investment you own. Doesn’t it make sense that your property manager understands how to enhance its value, and improve its bottom line performance? McKee Private Capital’s investment philosophy requires that it invest alongside its investors, putting its own investment capital at risk. This approach puts us on the same course with our investors, which builds compatible goals and objectives. Many institutional real estate syndications put little or none of their own capital into their offerings, therefore taking little or no risk in the outcome of their investment choices. Real estate offers the potential for both income and value appreciation, and provides capital preservation through the ownership of a tangible asset. Also, diversifying an investment portfolio with real estate gives an investor the ability to offset volatility in the stock and bond markets and increase overall portfolio returns. We can help you grow your real estate portfolio over time. Modern portfolio theory and empirical evidence suggest that diversifying an investment portfolio with real estate offers the potential for higher returns at any given level of risk and market condition. Prudent investors periodically rebalance their investment portfolio within each asset class, particularly when investing in cyclical assets such as real estate. Identifying mean-reverting assets (those assets which have declined in value to or below the mean historical return) is an important step in rebalancing an investment portfolio. Investors wishing to rebalance their real estate allocation might benefit from reducing exposure to highly appreciated real estate holdings in overheated real estate markets (held either individually or in publicly traded REIT’s), and re-invest in value-oriented properties. We research opportunities both within our local market as well as on a state and national level. One of the greatest benefits of real estate investing is the opportunity to defer capital gains on the sale of property held for investment, when moving into a new investment. Under the Internal Revenue Code Section 1031, an investor may defer the capital gains on appreciated real estate when moving into another investment, as long as the targeted property is identified within 45 days following sale of the relinquished property, and is closed within 180 days following the close of escrow of this property. Certain other rules must be followed. We have over 30 years of experience in structuring 1031 exchange transactions for our clients, enabling them to leverage and grow their real estate portfolios over time. Regardless of market conditions in good times or bad, real estate markets are inefficient when compared to the equity and bond markets. Whereas these markets tend to be fairly valued at all times, real estate markets are more fragmented, and therefore present opportunity for the diligent investor who can capitalize on market inefficiencies. Notwithstanding cyclical variations due to supply and demand imbalances, in the long run, rents, values, and the replacement cost of real estate improvements rise in line with inflation. This makes real estate investing a particularly effective hedge against inflation, and should be a key component in any well-diversified investment portfolio. In the current interest rate environment, private real estate investments typically offer higher overall yields than many fixed-income securities. Real estate is also far less volatile when compared to many equity investments. As reported by the National Property Index (prepared by the National Council of Real Estate Investment Fiduciaries - NCREIF) the standard deviation of private real estate returns was 5.9% compared to 14.4% for the S&P 500 over the past 25 years. Our investment team is comprised of real estate professionals with extensive industry experience spanning over 30 years. Wey have navigated many real estate cycles, in both up and down markets. Specializing in the analysis, acquisition and management of real estate investments, we have represented hundreds of investors in the achievement of superior investment returns. Russ McKee, founder and Broker-Owner of the company, has been a licensed California real estate broker since 1980. As an active manager of day-to-day operations, Mr. McKee has achieved considerable expertise in the fields of asset management and investment brokerage & exchanging. His education includes B.S. and M.B.A. degrees in marketing and finance. He has achieved the distinguished CCIM designation, awarded in 1994 by the Commercial Investment Real Estate Institute of the National Association of Realtors. He has also earned the National Affordable Housing Professional and Certified Professional of Occupancy credentials awarded through the National Affordable Housing Management Association. He has served both as Treasurer and Director of the Coronado Association of Realtors, and is past Secretary and Director of the San Diego CCIM Chapter.